The title of Ann Griffin's presentation to the February meeting of the Wargrave Local History Society was "Large, Dark and Handsome", about the Revd James Edward Austen-Leigh and the building of St Peter's Church in Knowl Hill. Ann began by explaining that at the end of morning service at Knowl Hill she met someone with a 'good camera', who had been given permission to photograph the church. To her surprise, the photographer asked her if she realised "what you have here", adding that Knowl Hill church was "probably unique" as the earliest Victorian church likely to be found. Ann, therefore, set out to discover more. The story was closely tied to that of the Austen family, so Ann outlined some of their family history. The Revd George Austen was the vicar of Steventon, in north Hampshire. He had married Cassandra Leigh-Perrot, and they had 8 children, Jane, Cassandra, James, and five further sons. Cassandra Leigh-Perrot's brother, James Leigh-Perrot married Jane Cholmeley, but they had no children. 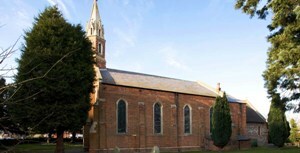 One of George's sons, James, was in charge of the church at Deane, close to Steventon, and it was there that his son James Edward, was born in 1798. (to distinguish him from his father, he was usually known by his middle name, Edward). Edward, Ann said, was the 'hero of the story', and had been described when he was born as "Large, Dark and Handsome" by his aunt, Jane Austen. Edward admired his aunt greatly, and they often wrote letters and poetry to each other. When Jane Austen had the first of her stories published, it was done very quietly, as it was 'not done' for ladies to write such at the time. Edward wrote a poem to Jane, to show he knew that she was the author, even going so far as to suggest that if the Prince Regent read her books, he might take Jane for his wife! Amongst Jane's other writings was a description of Steventon vicarage as a 'quite frail' building at that time. The Leigh family were 'close to being lesser gentry', although it was Cassandra's brother who inherited the money. When George Austen retired, the family had to leave the vicarage at Steventon, and James from the associated parish of Deane, so George Austen's family moved, first to relatives at Bath, then, when George died, to Southampton, and eventually Jane's third brother, Edward, (who had become heir to the Chawton estate, subsequently changing his name from Austen to Knight), allowed them to make their home in a cottage at Chawton, in north Hampshire. In due course, Jane became ill (thought to be a lung infection), and hearing there was a good doctor at Winchester, moved there. However, she died just 2 years later, in 1817, and so was buried at Winchester Cathedral. James Edward was just 20. He had completed his education at Winchester College, and then went to Exeter College, Oxford - but was clear that he did not wish to follow his father and grandfather into the church. The Leigh family also did not want their 'favourite nephew to become a Reverend. His aunt, Jane, gave him a hunter and a pony, and he had a good time, attending social functions where he met the gentry. It was when visiting The Vyne, near Basingstoke, that he met Emma Smith, the 'absolutely charming' daughter of Sir Sebastian Smith MP. Edward and Emma fell in love, and (according to an account by Edward's daughter) they sat and read Jane Austen's "Emma" together. When Edward and Emma married, they went to live in grand style at Tring Park, Sir Sebastian's house, where their first 3 children were born. Jane Leigh Perrot died in 1836, aged 90. She was of Edward's grandfather's generation, and the inheritance 'skipped a generation'. Jane feared that her house, Scarletts at Kiln Green, might be sold if it passed to others of her relations, which she did not wish to happen, and so it passed to Edward. A condition of this was that anyone who inherited Scarletts had to take Leigh as part of their name. Edward gladly did so, and became James Edward Austen-Leigh. The property included not just the house, but a farm, cottages, and extensive lands. At the time, the 'cut' was being made through the bottom of Scarletts Farm, for the soon to open Great Western Railway. James Edward Austen-Leigh would go and take services for the workmen, and would help the vicar of Wargrave, Reverend James Hitchings. James Hitchings said that there were "an awful lot of backward and ignorant people up there", and suggested that as Edward had 'trained for a job', and did not have a job, he could take on the job he was trained for. So he became the Reverend James Edward Austen-Leigh. 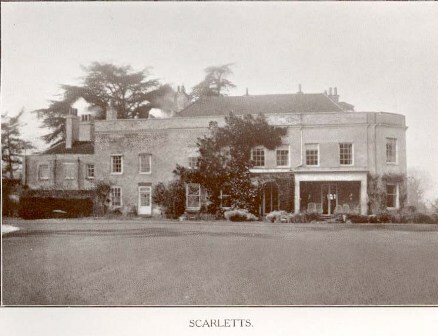 Living at Scarletts, (which was 'self sufficient', growing crops and having its own cattle, for example) he and Emma would dispense food and medicines to the poor - more than 30 of the poorest coming weekly during the winter months (a stark contrast to the rich and famous travelling the Bath Road). Emma was described as a 'heck of a girl'. Edward thought it would be good to have a chapel built at Kiln Green, and had local land-owner J J Bulkeley, at Linden Hill, on his side. . However, Sir East George Clayton- East, of Hall Place, was a 'big wig' in the county got involved, and decided that a church be built at Knowl Hill. This was less convenient for Edward, as it was further from Scarletts. The church was consecrated on 24th August 1841, but Edward was disappointed in it as built, and he thought it was 'unwelcoming, cold and hideous'. As a result, Edward spent much of his own money to have the church improved inside, (much of the chancel decoration being done by Harriet, daughter of Reverend Hitchings) and by adding a chancel - creating space for additional pews and a gallery to seat all who wished to attend. Emma even sold Jane Leigh-Perrot's diamond earrings to fund the purchase of an organ. The land had been given by Wethereds, the brewers, for both the church and cemetery, as well as the school, which opened in 1846. Edward had a vicarage built, on the glebe land - not for himself, but for his curate. As he had done "so much good work", the Bishop suggested Edward deserved a better living, and so became the vicar of Bray in 1852. There he decided to bring in architects, close the church for 6 months, and rebuild it (retaining only the tower). Edward and Emma stayed at Scarletts as long as possible, but eventually Edward found the journey hard going, (although he thought train travel was 'magic' - it could go at 30 miles an hour - and in the dark!) so Edward and Emma - and the household, etc - moved from Scarletts. One result of the rebuild was that a set of Georgian pews were given by Bray to Knowl Hill church, where they remain. Emma's mother was buried at Knowl Hill, and the memorial to her there was created by "Queen Victoria's favourite sculptor", William Theed. In 1870, Edward wrote "A Memoir of Jane Austen". Her books had failed to sell well, and so the publishers had sent the stocks to be pulped. 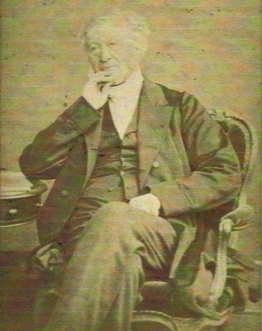 James Edward Austen-Leigh, by his book, brought Jane's work to 'the nation's notice". It was in finding out more about the last - unfinished - of Jane's stories that had brought the photographer to Knowl Hill, and so initiated Ann's research. The next meeting will be on Tuesday March 8th when the Society holds its Annual General Meeting, and details of the programme for the coming year will be announced.